Property 4: Charming stone cottage in beautiful country estate close to the river. Property 11: Stone Cottage Great for 2 + 1 people. 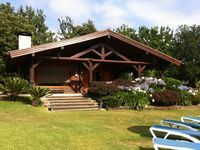 Property 21: "O PEQUENO SOTEAR"
Property 50: Rural house for 10/14 pax with pool near the coast. Had a good stay here and some trouble with the internet but overall it was a very nice place! Amazing views, quite, safe, and an amazing property. Loved this beautiful house and property! Ideal for large family vacation in Galicia. 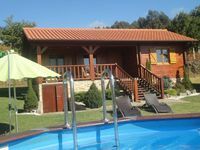 Idilic retreat, yet close to town and main highway connection to visit all of Galicia and N. Portugal. House has many ammenities and comforts to easily accomodate a family of 10 and even host a family reunion of 20! The kids loved the pool and soccer field, while adults relaxed in the tranquil nature surroundings. The owner, Juan and grounds keeper Esteban are readily responsive if needed. We made incredible family memories! Gracias Juan por compartir su maja casa con nosotos!